It's amazing how frequently we humans doubt God's love for us. He has filled this entire earth and the heavens above us with countless gifts of His love. Everywhere our eyes look we see wonders He has put there for us. He has made every good thing we have in our lives and He's given them to us. He sustains us even when we ignore Him or are angry at Him. He forgives us EVERY time we ask sincerely. He never sleeps, but is ever there for us every time we call on Him. He gave what was most precious to Him just so that we would be able to spend eternity with Him. We need never doubt again whether He loves us. However, loving us is NOT the same as a free pass to heaven. He did everything necessary at the cross to redeem us from hell, now it's up to us. He has the right to establish the rules and He alone can enforce them. It doesn't matter what we think at all, in the end, only those who have obeyed His rules will spend eternity in heaven with Him. We must believe He is God. He requires us to repent of our sins, that is to be truly sorry for our sins and determine not to do them again, but to live by His law. We must ask Him to to be our Savior. We must be immersed in water baptism in the name of the Father, the Son and the Holy Spirit. Then we must live faithfully until death. We must love Him more than anything or anyone and live a life of faith, believing in what He says in the Bible. We must forgive others for wrongs we feel they have done to us. We must repent when we sin and ask to be forgiven. Yes, God loves us deeply and truly, but He cannot abide sin and those who will spend eternity with Him must be washed in the saving blood of Jesus Christ to wash away our sins. We die to the old man of sin and Christ lives in us, so now when the Father looks at us, He sees His beloved Son who gave His life to save us. He imputes Jesus' righteousness to us and that's how we get to spend eternity with the Holy God Almighty, the only True and Living God, the great I AM. Jesus Himself is our High Priest sitting at the right hand of God the Father interceding for us. The Holy Spirit of God takes our prayers and speaks them to the Father in words we cannot even utter so they are fit for our Holy God. Hallelujah Lord! Thank you forever and ever! Several of the goodies I've given away lately have not shown up on Digifree as it's been picking up the wrong preview pictures, so I'm trying again hoping you will see it on the search engine. I made today's gift using my adorable Bottle Caps Kit. 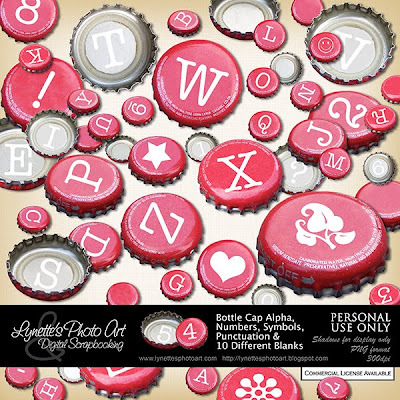 Bottle Caps has 54 high resolution elements including the alphabet, numbers, some punctuation, decorative symbols and 10 DIFFERENT BLANKS!!! 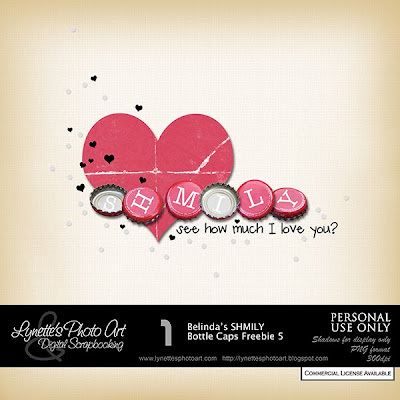 It's adorable and I'm pricing it so everyone can have it - only $1.99 at my PayPal store. You can easily recolor them too! Click image to enlarge. Click Buy It Now Button below preview to purchase. Thank you so much for this Freebie. 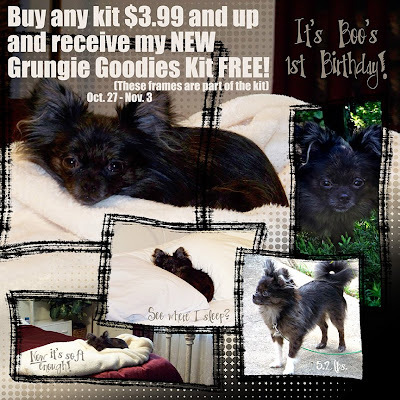 I want to let you know that I posted a link to your blog in CBH Digital Scrapbooking Freebies, under the Page 7 post on Oct. 29, 2009. Thanks again.